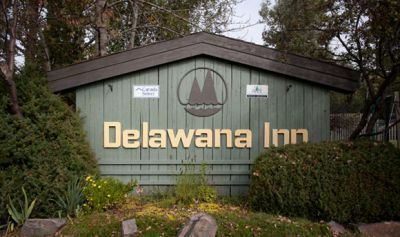 In 2012 the historical Delawana Inn Resort on Georgian Bay, Muskoka went into receivership. The resort was purchased in 2013, and is now under new ownership. The Delawana Inn Resort will now be called Delawana Resort and will be reopening its doors for the summer of 2014. You will see many positive changes in the property and its management. The Delawana Resort will be a self-catered Muskoka retreat, making vacationing in Muskoka much more affordable. The Delawana will have many activities and amenities available for guests of the Georgian Bay resort, such as: canoes, kayaks, mountain bikes, and paddle-boats for use. The Delawana Resort will integrate the many benefits of the local community to help provide services to our guests. With the town of Honey Harbour being a short walk away from the resort property, guests will have access to shops, groceries and more. Many of the buildings throughout the resort will be renovated and upgraded; this will include the main building and several others. Whether you're looking for a Muskoka cottage rental, a room by the water, or a nature-filled getaway, come visit our resort. The Delawana will continue to provide memories that have been made here for centuries. If you have any further questions, please check our FAQ page, or feel free to contact us here at the resort.